Today's work is to load a bunch of stuff into my Etsy shop. 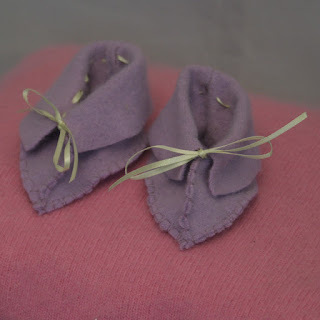 I have a number of baby booties made of reeaally soft fibers: angora, cashmere and, if you will believe it, possum fur. I found this really soft sweater, and it was made of New Zealand lambswool and possum fur. It's really fuzzy and amazingly soft. 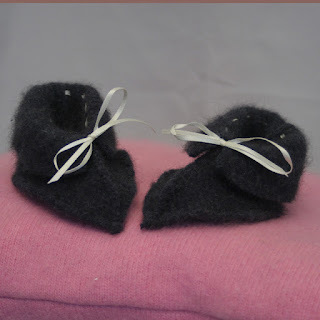 These are the booties made with possum fur. 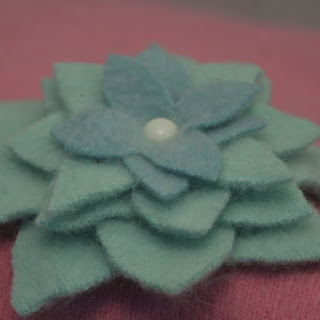 Another flower, made of angora, so it not only has soft colors, it's really soft to the touch, too. 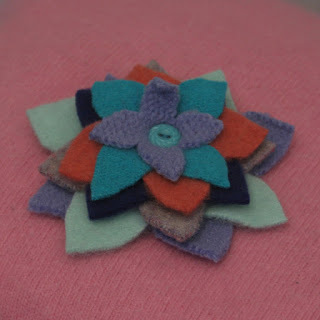 If you'd like to see more, check out my Etsy shop.